Entry via intercom on vestry door located at the South East corner. The internal North East tower pillar contains a spiral staircase with 60 steps to ringing room. The town centre has a range of shops and cafes. Toilets in nearby church house can be made available to parties on request. Traffic access along High St is from the North only (Roundabout at junction of Stourbridge Rd / Earls Way A458) passing East to West along the South side of the Church towards Church Croft and from there past Andrew Rd towards the roundabout on the Queensway's junction with the Hagley Rd B4183. 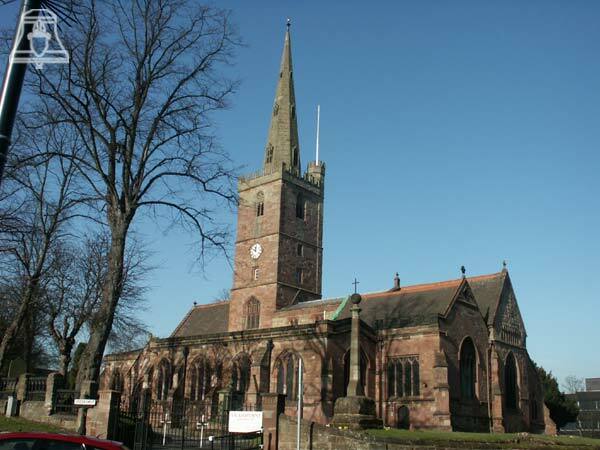 Unrestricted parking is only available outside the South side of the Church after 1900 and Sundays at other times use a nearby pay and display.